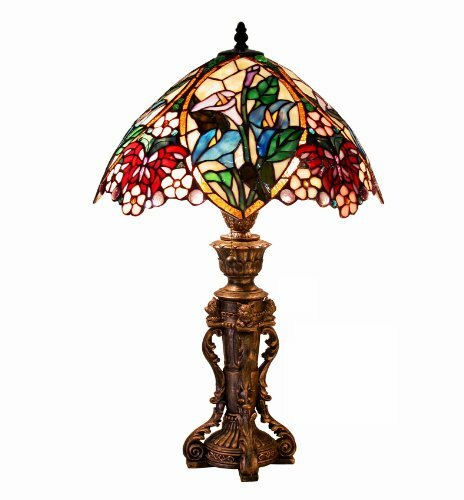 Perhaps you have come across the stunning Dale tiffany lamp and wondered whether it is an authentic Louis tiffany lamp belonging to the era where “Art Nouveau” was flourishing. If you are an art freak and every now and then you love to roam along the vintage streets; you are bound to love the artistic Dale Tiffany lamp. Actually it is not the original; it is a genuine copy of the artistic art nouveau lamps that are extremely costly and often found only in the museums. 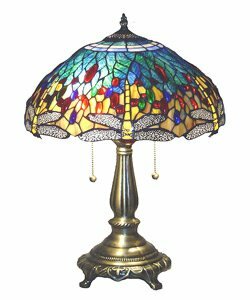 Not only is it a good replica of the real Louis Tiffany lamp, it looks awesome throwing magnificent array of colors in the criss-cross lighting patterns. Louis Tiffany was an eminent artist and an American painter who created aesthetics with glass. He was a painter in his early days and learnt the art of painting in Paris. He eventually got attracted towards glass making and you can see that his artwork was influenced by “Art Nouveau”. Louis Tiffany was an accomplished artist and his innovation led to mystical glass that emitted light in a distinct manner when lit. For the wealthy and elite class, he created unique tints in the lamp that glittered in most unique themes, when illuminated many colours came alive that did not show on the surface of glass. He could achieve professionally with some discrete technology, delicate techniques that were known just to him. Even today, it is difficult to achieve the original craft with the glass like L. C. Tiffany and it remains a mystery with the contemporary artists and the glass industry. The original lamps that used the creative techniques of glassmaking were made in Tiffany Studios. To revoke the magic of ninth century table lamp, Dale Tiffany started his manufacturing unit to reproduce the magic of Louis’s lampshades. You will find the old splendour in many of his pieces where he uses similar patterns. The lamp bases are adorned in an ornamental motif in Venetian appearance often surrounded by ornately carved patterns that replicated the brightness of gemstones such as rubies and emeralds. Lamps with woman holding a shimmering gold glass over her head, dragonflies, roses and other floral patterns are some of the examples that are present in Tiffany style lamps apart from the symmetrical and geometric shaped lamp shades. These pieces that were once designed for an era of wealthy nobles can be found in a humble middle class home. Of course the distinction exists, however the subtle differences are not so obvious and the lighting accents remain as beautiful as Louis’s works Tiffany’s fans. 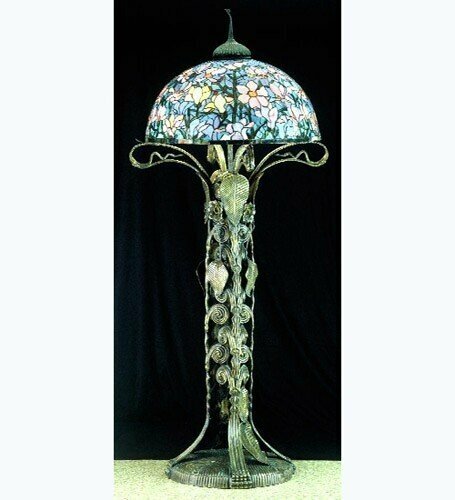 Are Tiffany Style Lamps same as the Art Nouveau Lamps of Louis Tiffany? Do you like the Dale Lamps for lighting? These are lovely and the article is just perfect for my Victorian homes board. Among Tiffany style lamps, dragonfly is one of the most popular lamps that people love. Other designs like the floral ones are widespread too. For instance, we already have Katiem who has a Tiffany lamp. I agree. The dragonfly lamp is beautiful. 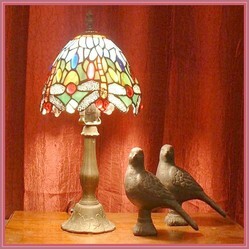 I have one Tiffany lamp I too love the dragonfly lamp, it is stunning. They all look great but the dragonfly one is simply beautiful. thanks for sharing, WriterArtist!